Luke Hayman has lived his life in the shadow of another Luke: the main character, named Luke Hayseed, in a series of books written by his father, Arthur. Throughout the books  known as The Hayseed Chronicles  an unseen character named Mr. Toppit keeps Luke Hayseed busy with an array of nearly impossible tasks; Luke Hayman has spent his days on the equally daunting task of convincing fans of the books that fact and fiction are two different things. But when an American tourist named Laurie finds a connection with Arthur during his dying moments in England  and then brings The Hayseed Chronicles to an American audience  the books become an international phenomenon that Luke and his family can’t escape. When the Hayseed Chronicles, an obscure series of children’s books, becomes world famous, millions of readers debate the significance of that enigmatic last line and of the shadowy figure, Mr. Toppit, who dominates the books. The author, Arthur Hayman, an unsuccessful screenwriter mown down by a concrete truck in Soho, never reaps the benefits of the books’ success. The legacy passes to his widow, Martha, and her children - the fragile Rachel, and Luke, reluctantly immortalized as Luke Hayseed, the central character of his father’s books. But others want their share, particularly Laurie, the overweight stranger from California who comforted Arthur as he lay dying and has a mysterious agenda of her own that will change all their lives, for buried deep in the books lie secrets which threaten to be revealed as the family begins to crumble under the heavy burden of their inheritance. 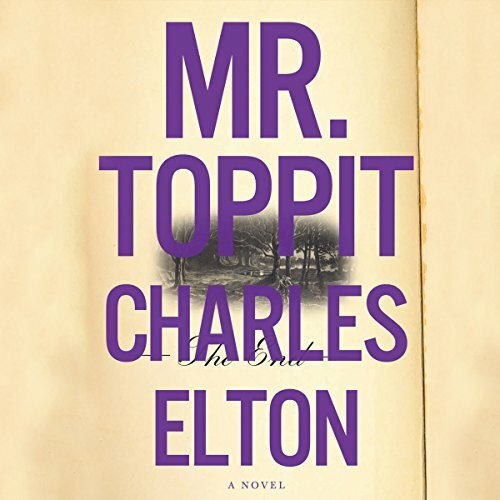 Spanning several decades, from the heyday of the British film industry after the war to the cut-throat world of show business in Los Angeles, Mr. Toppit is a riveting tale of the unexpected effects of sudden fame and fortune. Not since Jonathan Coe’s What a Carve Up! has a novel managed to capture a family and a society to such wonderfully funny and painful effect. Charles Elton worked as a designer and editor in publishing before becoming a director of the literary agency Curtis Brown. Since 1991 he has worked in television and has been executive producer in drama at ITV since 2000. Among his productions are The Railway Children, the Oscar-nominated short Syrup, Andrew Davies’ adaptation of Northanger Abbey, and the recent series Time of Your Life. ©2009 Darkwood, Ltd. (P)2010 Blackstone Audio, Inc.